A teenage boy was the victim of a strong arm robbery that occurred on Sunday afternoon. The suspects distracted him and were able to escape. All three remain at large. On Sunday, February 24, 2019 at 2:55 p.m., our 24-hour dispatch center received a report of a strong arm robbery that had just occurred in the 900 block of East Charleston Road. The preliminary investigation reveals that a car had exited the drive through of a Taco Bell and the rear passenger called out to a 17-year-old male customer who was outside of the restaurant holding his phone. That passenger asked the teen what he was looking at on his phone. The teen was confused and held out his phone in the direction of the suspect. That’s when the suspect grabbed the phone out of the victim’s hand and the car sped away. It was last seen traveling southbound on Highway 101 after turning on Charleston Road. The victim describes all three suspects as being between the ages of 18 to 24-years-old. The male suspect who grabbed the phone is Hispanic with black hair, brown eyes. He was wearing a white t-shirt and a black hooded sweatshirt. The driver in the getaway car is described as a white male with black hair, brown eyes, and acne on his face. He was wearing earrings and was wearing a white t-shirt and a grey hooded sweater. The female passenger is described as being Hispanic with long black hair, brown eyes and wearing a white Adidas sweater. The suspect vehicle is a silver Nissan Altima. Detectives are actively investigating this robbery. They are looking to see if it is connected to any other crimes in surrounding cities. Anyone with information about this incident is asked to call our 24-hour dispatch center at 650-329-2413. 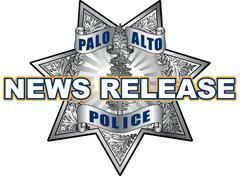 Anonymous tips can be e-mailed to paloalto@tipnow.org or sent via text message or voice mail to 650-383-8984. Tips can also be submitted anonymously through our free mobile app, downloadable at www.bit.ly/PAPD-AppStore or www.bit.ly/PAPD-GooglePlay.